Whoever said pink is for sissies? Not at Shirlee’s Ultimate Women’s Gym! 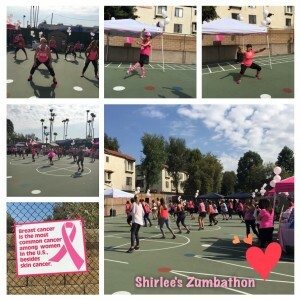 On Sat., October 17 a sea of pink-clad ladies jumped and danced in the sun like Energizer Bunnies at the gym’s Third Annual Party in Pink Zumbathon and Blood Drive, an event that raises money for the Susan G. Komen Breast Cancer Awarenss campaign and for breast cancer research at the City of Hope. 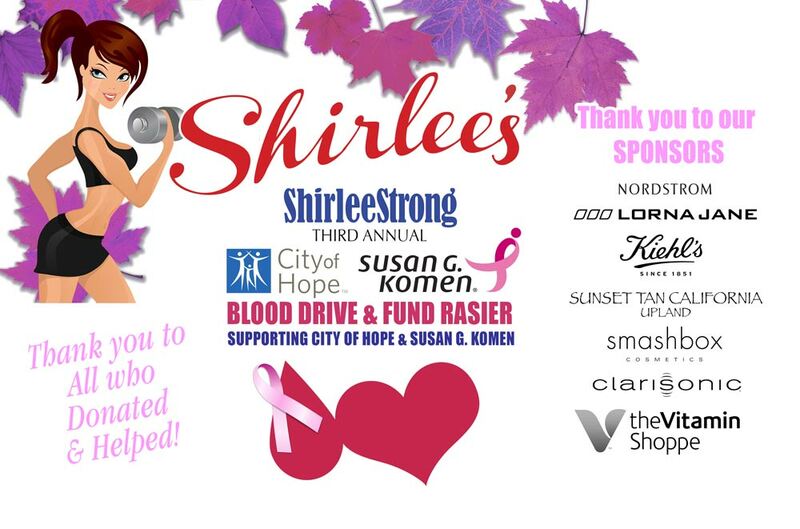 Funds raised from a $15 entrance fee went to Susan B. Komen and funds from $10 raffle ticket sales went to City of Hope. The combined total was $3,000. In addition to raising money, the event also collected blood for City of Hope. A mobile van collected donations from 30 people. The Zumbathon/Blood Drive event included vendors offering special discounts and a taco truck with fantastic food. 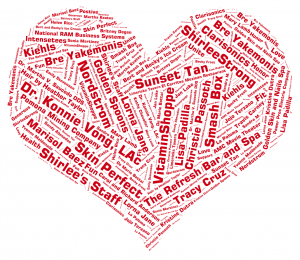 Shirlee’s partnered with many local businesses to provide raffle prizes. Christy Passoth, the winner of 2012 Beauties of America 60, spoke about how important it is for women to advocate for their own health and not put off breast cancer screenings. Watch a one-minute video on our Party in Pink. 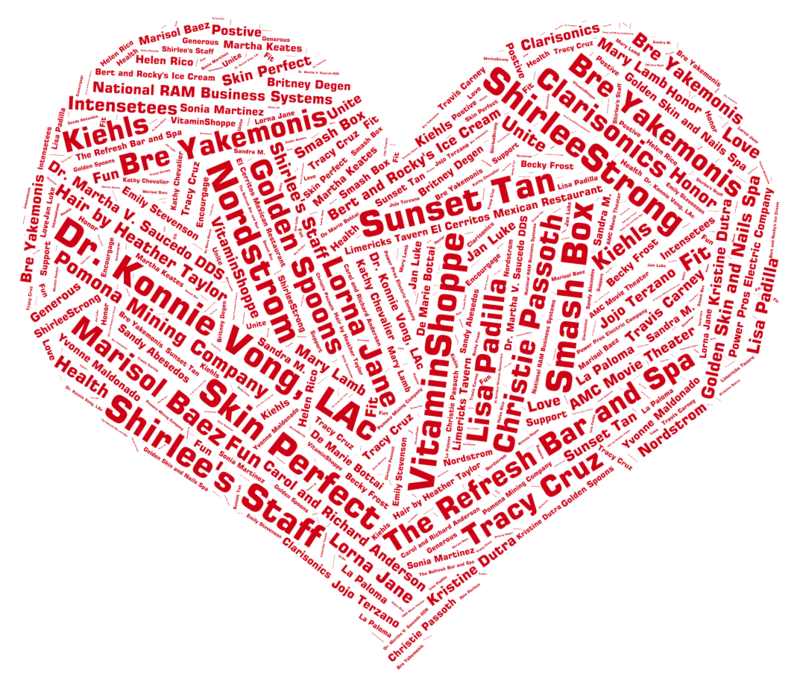 Shirlee’s acknowledges our sponsors and others who contributed to the success of party in Pink. 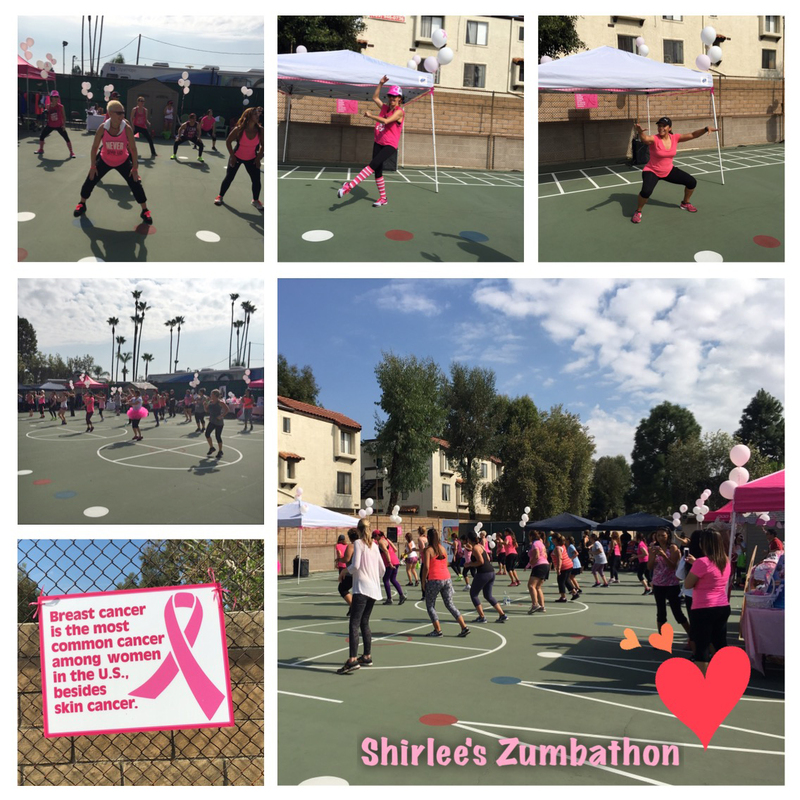 This entry was posted in News, ShirleeStrong, Special Events and tagged Breast cancer awareness, City of Hope, October, Shirlees gym, Zumbathon. Bookmark the permalink.